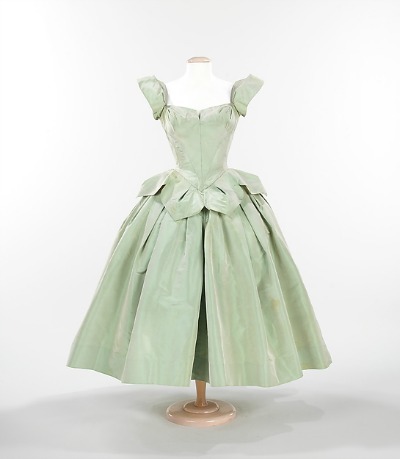 Charles James was so highly regarded by the 1950's fashion world that Christian Dior called his work "poetry" and Balenciaga praised his dressmaking skills as "pure art form." Considered to be America's first true couturier, James' zenith extended three decades with his architecturally sculptured ballgowns his undisputed jewels. His creations were worn by society's most glamorous clientele, including Paleys, Hearsts, and Whitneys. His most devoted patron was Millicent Huddleston Rogers. 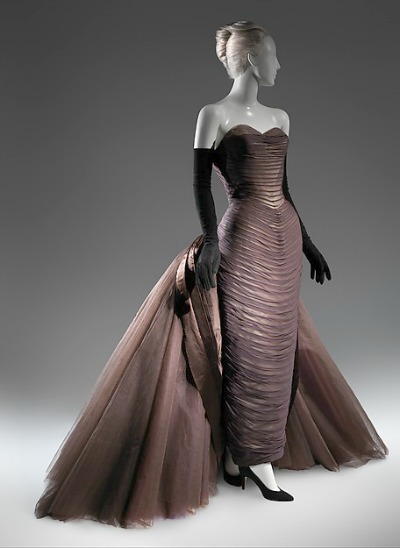 Charles James was born July 18, 1906 in Sandhurst, England where his father was stationed as an Army officer. In 1924, with assistance from a family friend, James assumed an architecture department desk job in his mother's hometown of Chicago with Commonwealth Edison. He would later apply to couture the technical aspects he learned in the architecture department. 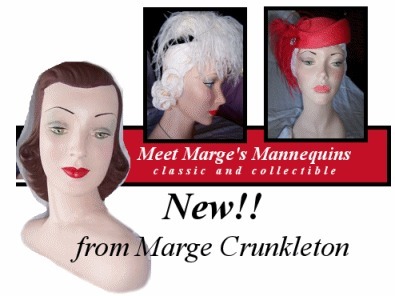 By 1926, he was ready to open a millinery shop. Two years later, James added a clothing line and moved his salon to Manhattan. Between the two world wars, he owned ateliers in Paris, London, and New York. He became one of America's most expensive couturiers. James' instinctive ability to imagine a complex pattern in his mind's eye and then to wrap and drape the material into structural masterpieces shot him to the forefront of fashion couture. Although the cantilevered skirts of his Petal Ballgown had a circumference of eighty feet and weighed ten pounds, by report, it could not have been more comfortable to wear. The genius in his designs was not in outside ornamentation but in the precise cutting, seaming, and the intricate structure of each garment that was meant to transform the woman into a predetermined shape. Metropolitan Museum Commentary on the Butterfly Gown: "Like the metamorphosis from caterpillar to shimmering butterfly, the woman who wriggles into the narrow body of this gown assumes the enchantment of a winged beauty. For the effect, James exaggerated the torso length of the sheath with "the highest bustline in 125 years" and layered transparent tulle in unexpected colors to accrue depth of tone and iridescent shimmer to surrogate wings." 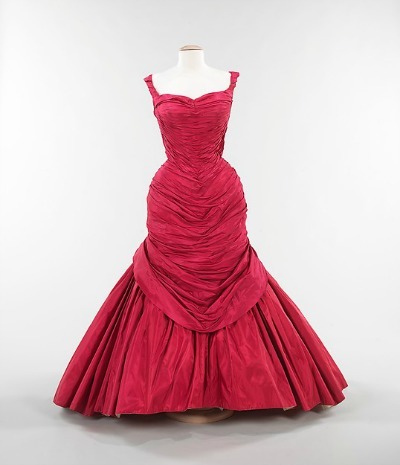 "The owner of this dress purchased it at Lord & Taylor for $1,250, the equivalent of $12,000 today. It was, by her recollection, surprisingly comfortable to wear despite its eight-pound weight and posterior amplitude." Charles James named his Tree design for one of his clients, Marietta Peabody Fitzgerald Tree, mother of the model Penelope Tree, and also as a reference to the the silhouette resembling an uprooted tree. 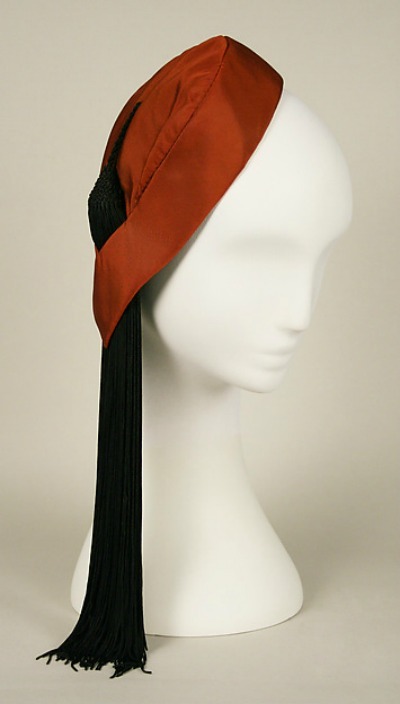 Gift of Mrs. Douglas Fairbanks, Jr.
James often heightened the drama of his designs with his asymmetrical structure in like colors with different reflective qualities. Always a perfectionist, he expressed his vision of artistry through rigorous engineering. 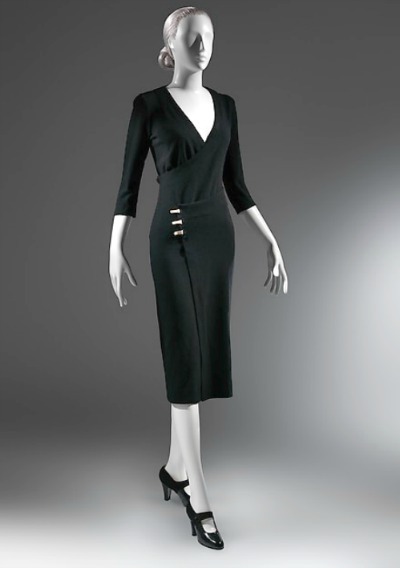 James considered his 1929 Taxi dress one of his most important artistic designs. The wrap over skirt was made without seams and said to be so easy to wear it could be slipped on in the backseat of a taxi. 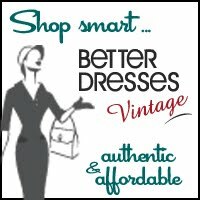 Sold at Best & Co, the garment sold for twenty-two dollars and was stocked sealed in a cellophane package. 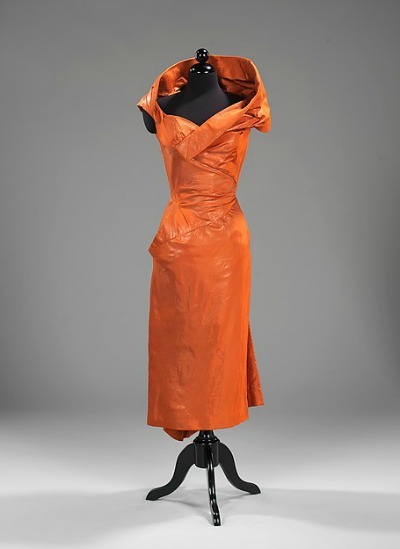 Despite Charles James' innovative designs and creativity, he lacked the business acumen to stay ahead of his creditors. In 1957, shortly after the birth of his daughter, the Internal Revenue Service seized the contents of his showroom, his marriage dissolved, and James sank into semi-oblivion.